While East Fife have begun their SWFL Division 1 North campaign with three wins on the spin, Dundee United just managed to keep up their perfect start, while Westerlands and Blackburn United are level on points at the top of the South. East Fife made it three straight wins with an 8-3 thrashing of Deveronvale. Dundee United made it back to back victories with a 3-2 result at Dunfermline Athletic, despite having fallen two goals behind. Inverness City hit Westdyke 6-0. Cove Rangers came through 4-2 at Aberdeen U-23s. Dee Ladies and Buchan both got off the mark with a 1-1 draw and Raith Rovers ran out 4-0 winners at Stirling University Development. Westerlands and Blackburn United went first and second respectively, despite dropping their first points in a 1-1 draw. Three sides put their first points on the board, as Falkirk won 5-3 at Boroughmuir Thistle, Cumbernauld Colts defeated Thistle Weir 2-1 and Queens Park saw off Morton 3-0. 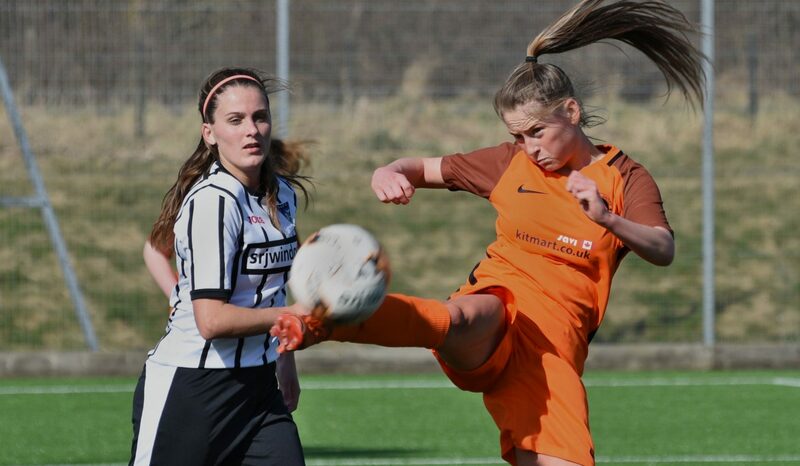 Two teams joined leaders Montrose on six points, Moray 7-1 winners at Turriff United and Stonehaven scoring four times at Forfar Farmington Development. Buckie leapfrogged Caithness by beating them 4-2, while Ross County had a walkover against Buchan Youth. Kilmarnock U-23s have won all their first three games following a 3-0 result over United Glasgow. Pollock United and Bishopston also have 100% records but after just two games, the former winning 2-1 at Ayr United, the latter 3-2 at Kilwinning. Dumbarton United defeated hosts Queen of the South 2-1, St Mirren’s first points came in a 4-2 result at Rutherglen, Stranraer’s with a 7-1 scoreline against Gleniffer Thistle. 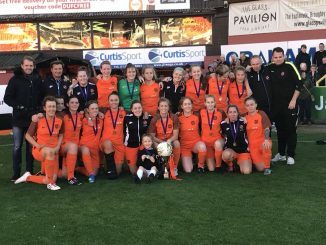 Glasgow Girls Development’s 2-1 success against Stenhousemuir was their third win in as many games and Glasgow City Development have won their opening two games after putting eleven goals past hosts Hawick United. Murieston United sit between their pair having beaten Broxburn Athletic 3-1. Airdrie and Hamilton Academical U-23s remain unbeaten after drawing 1-1. 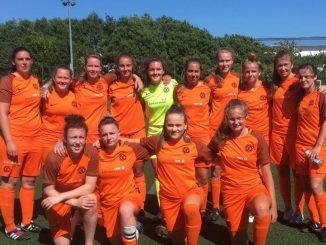 Motherwell Development netted ten times at West Park United, while Central Girls sank East Kilbride 8-0. Kelty Hearts still lead after a 7-0 scoreline away to Lothian and Spartans Development went second with the only goal at Dryburgh Athletic. Dundee City were held 2-2 at home by Hutchison Vale Development, as were Edinburgh Caledonia at GOC Academy, for whom it was a first point of the season. East Fife Violets also got off the mark be beating Bonnyrigg Rose 3-0 and Hearts Development won 1-0 at their counterparts from Spartans. was taken by me, not Paul Melling! Apologies….getting snappers mixed up. Will correct.